Headquarters New York City, U.S.
Miss Universe is an annual international beauty contest run by the Miss Universe Organization. The pageant is the most publicized beauty contest in the world with 600 million viewers. In 1998, Miss Universe changed its name from Miss Universe, Inc. to Miss Universe Organization and the headquarters moved from Long Beach California, to New York City that year. Donald Trump brought in a new team of professionals to the contest headed by its new CEO, Molly Miles, and president Maureen Reidy. Miles coined the slogan "Redefined for Today" for promotion of the pageants. That year, the new Miss Universe logo was born: The Woman with the Stars, which is still used today. The current Miss Universe is Ximena Navarrete, from Mexico. She won the title on August 23, 2010. The winner of the later "Miss America 1951" pageant, Yolande Betbeze, refused to pose in a swimsuit from its major sponsor, Catalina swimwear. As a result, the brand's manufacturer Pacific Mills withdrew from Miss America and set up the Miss USA and Miss Universe contests. The first Miss Universe Pageant was held in Long Beach, California in 1952. It was won by Armi Kuusela from Finland, who gave up her title though not officially to get married, shortly before her year was complete. Until 1958 the Miss Universe title (like Miss America) was post-dated, so at the time Ms. Kuusela's title was Miss Universe 1953. The Miss Universe Organization, a New York–based partnership between NBC and Donald Trump, has run the contest since June 20, 2002. The current president is Paula Shugart. The Organization sells television rights to the pageant in other countries, and also produces the Miss USA and Miss Teen USA contests with the winner of Miss USA representing the USA in Miss Universe. Some of the most successful national pageants in the last decade have been Venezuela, USA, Puerto Rico, etc. which command consistently high interest and television ratings in their respective countries. Recent arrivals in the pageant include China (2002), Albania (2002), Vietnam (2004), Georgia (2004), Ethiopia (2004), Latvia (2005), Kazakhstan (2006), Tanzania (2007), and Kosovo (2008); there have also been efforts to revive strong national pageants in South Africa, Canada, Spain, Japan; Latin America (especially Venezuela, Puerto Rico, Dominican Republic, Mexico, Colombia and Brazil) among other regions. Prior powerhouses are Finland, Germany and Sweden. England is the most successful non-winning country with nine Top 5 positions. 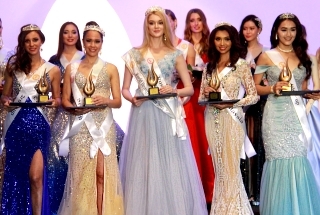 There are continually efforts to expand the pageant, but the participation of some countries such as Algeria has proven difficult due to cultural barriers to the swimsuit competition, while others such as Azerbaijan, Mozambique, Armenia and Nepal have balked at sending representatives due to the cost (in fact, of all the major international pageants, the franchise fee for Miss Universe is the most expensive). As of 2010, only four countries have been present at every Miss Universe since its inception in 1952: Canada, France, Germany, and the United States. Many European countries allow 17-year-old contestants to compete in their pageants, while Miss Universe's minimum age is 18, so national titleholders often have to be replaced by their runners-up. Miss Universe also prohibits transsexual applicants and age fabrication. The main Miss Universe Pageant, as of this writing, is held over a two week period in May and July. In the 1970s through the 1990s, the pageant was a month long. 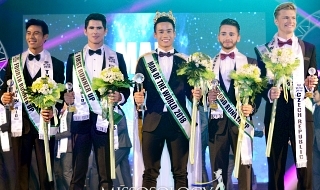 This allowed time for rehearsals, appearances, and the preliminary competition, with the winner being crowned by the previous year's titleholder during the final competition. The competition for the Miss Universe title has seen many changes, although there have been several constants throughout its history. All the contestants compete in a preliminary round of judging (nowadays called the "Presentation Show") where the field is narrowed to a select number of semi-finalists. This number has fluctuated over the years. The very first Miss Universe pageant had ten semi-finalists. The next two years, the number of semi-finalists grew to 16. In 1955, the number dropped to a stable 15, which remained through 1970. In 1971, the number was reduced to 12. That number was further reduced to a mere 10 in 1984. This lasted until 2003, when the number of 15 was re-instated. In 2006, there were 20 semi-finalists, the highest number ever. In 2007, the Organization announced the Top 15 system would be back, which was also used in 2008. The Miss Universe crown used from 2002–2007 was designed by Mikimoto, the official jewellery sponsor of the Miss Universe Organization, and depicted the phoenix rising, signifying status, power and beauty. The crown has 500 diamonds of almost 30 carats (6.0 g), 120 South Sea and Akoya pearls, ranging in size from 3 to 18 mm diameter and is valued at $250,000. The Crown was designed specifically for the pageant on Mikimoto Pearl Island in Japan with the Mikimoto crown and tiara being first used for Miss Universe 2002. Since 2009, Diamond Nexus Labs made Miss Universe crown. The crown is set with 1,371 gemstones, weighing a total of 416.09 carats (83.22 g). It contains 544.31 grams of 14k and 18k white gold as well as platinum. 2004 marked the first year for the Miss Universe pageant to use the Orenté musical score, the official Miss Universe soundtrack. The Orenté musical score is divided into eight sequences: the Orenté Introduction — the musical score played during the live telecast as the voice over begins the Miss Universe pageant, the Orenté Major — used for the cue after commercial and during the announcement of the newly crowned Miss Universe, the Orenté Elimination — used for the announcement of semi-finalists, the Orenté Fashion Presentation, the Orenté Interlude — used while showing the ten finalists, the Orenté Pregunta Final — used while the final five finalists answer the final question the Orenté Final Look — used for the final look of the five finalists, and the Orenté Announcement — used while announcing the positions of the final five delegates. In 2008, a new Orenté Fashion Presentation was played during the Fadil Berisha swimsuit photoshoot, the 2007 version was now the called the Orenté Curtain Call, which was used as Melanie B and Jerry Springer called out the delegates just before they made the first cut, making the Orenté musical score divided into nine sequences. 2010 Mexico Ximena Navarrete Nuestra Belleza México Las Vegas, U.S.
2006 Puerto Rico Zuleyka Rivera Miss Puerto Rico Universe Los Angeles, U.S.
* In 2002, Russia's Oxana Fedorova won the Miss Universe crown. However, she was dethroned on September 23, 2002 by Miss Universe Organization. First runner-up, Panama's Justine Pasek continued the responsibilities as Miss Universe 2002. Anyone who follows the Olympic Games or other sporting events will be familiar with the concept of the Medal Table, which ranks countries based on their first (gold), second (silver) and third (bronze) place finishes. Below is a similar table of the top rankings for the Miss Universe pageant, based on all results from the first event in 1952 to the most recent competition in 2009. Note that, from 1990 to 2000, there was only a "Top 3" with the third and fourth runners-up positions eliminated. * Electronic voting was introduced to television viewers in 1978 when the pageant was held in Acapulco, Mexico: for the first time in a televised pageant, the audience got to see how the judges voted. This system was temporarily suspended from 2003 to 2006, where the traditional ballot system was implemented. The pageant reestablished a computer voting system in 2007. * From 1990 to 2001, the judges' individual scores were visible to the viewing audience, creating three of the four highest scores ever seen on the pageant in each area of competition. The scoring system was similar to the Olympics. As each contestant competed, the judges entered a score ranging from 1.0 to a high of 9.99 into their computer terminals. The judges' names and scores were seen on screen, then the highest and lowest scores were eliminated and the rest were averaged. o The highest Semifinal Swimsuit score in that time period was given in 1998, a score of 9.855 to Miss Venezuela, Veruska Ramírez. o The highest Semifinal Evening Gown score was given in Miss Universe 1994, a score of 9.897 to Miss Colombia, Carolina Gómez. o The highest Semifinal Interview score was given in Miss Universe 1993, a score of 9.843 to Miss Venezuela, Milka Chulina. o The highest Top 5 Interview score was given in Miss Universe 2000, a score of 9.954 to Miss India, Lara Dutta. This is in fact the highest score in any competition in the history of Miss Universe. * However, in 2002, individual judges' scores were hidden again, as it happened from 1978 to 1989, and only the average score is shown to the viewing audience nowadays. That year, the highest Semifinal Swimsuit score ever recorded was given to Miss Russia, Oxana Fedorova, a score of 9.88. * There is a team of three people who install, maintain, and operate the voting system. They sit somewhere in the audience area with a view of the stage, usually just in front of the accountants. They are listed in credits as “Computer Score Operators.” The same system is used for Miss Teen USA and Miss USA. o 1954: Miriam Stevenson (USA) was crowned in Long Beach, California, USA. o 1956: Carol Morris (USA) was crowned in Long Beach, California, USA. o 1960: Linda Bement (USA) was crowned in Miami Beach, Florida, USA. o 1967: Sylvia Hitchcock (USA) was crowned in Miami Beach, Florida, USA. o 1997: Brook Mahealani Lee (USA) was crowned in Miami Beach, Florida, USA. o 2001: Denise Quiñones (Puerto Rico) was crowned in Bayamón, Puerto Rico. o 1956: Carol Morris (USA) crowned 1957: Gladys Zender (Peru) in Long Beach, California, USA. o 1960: Linda Bement (USA) crowned 1961: Marlene Schmidt (Germany) in Long Beach, California, USA. o 1967: Sylvia Hitchcock (USA) crowned 1968: Martha Vasconcellos (Brazil) in Long Beach, California, USA. o 1973: Maria Margarita Moran (Philippines) crowned 1974: Amparo Muñoz (Spain) in Manila, Philippines. o 1980: Shawn Weatherly (USA) crowned 1981: Irene Sáez (Venezuela) in New York City, New York, USA. o 1995: Chelsi Smith (USA) crowned 1996: Alicia Machado (Venezuela) in Las Vegas, Nevada, USA. o 1997: Brook Mahealani Lee (USA) crowned 1998: Wendy Fitzwilliam (Trinidad and Tobago) in Honolulu, Hawaii, USA. o 1998: Wendy Fitzwilliam (Trinidad and Tobago) crowned 1999: Mpule Kwelagobe (Botswana) in Chaguaramas, Trinidad and Tobago. o 2001: Denise Quiñones (Puerto Rico) crowned 2002: Oxana Fedorova (Russia) in San Juan, Puerto Rico. * In 1972, the Miss Universe Pageant was held outside the continental US for the first time, taking place in Dorado, Puerto Rico. * Miss Universe was first held outside of U.S. territory when it held the pageant in Athens, Greece, for the Miss Universe 1973 pageant. It is also the only pageant wherein contestants were not allowed to wear the traditional swimsuit because it was held in Odeon of Herodes Atticus, where religious rites were performed in the ancient times. * In 2008, the Miss Universe Pageant was held in a contemporary communist state for the first time, taking place in Nha Trang - Khanh Hoa province, Vietnam. Winners of Miss Universe by country. * The United States has performed the best throughout the pageant's entire history, with seven winners, eight first runners-up, six second runners-up, one third runner-up, five fourth runners-up, six finalists, and seventeen semi-finalists. Miss USA has missed the semi-finals only four times: 1976 (Barbara Peterson, from Minnesota), 1999 (Kimberly Pressler, from New York), 2002 (Shauntay Hinton, from District of Columbia), and 2010 (Rima Fakih, from Michigan). In 1957, Leona Gage, from Maryland, was disqualified from the semi-finals after it was revealed that she was married and a mother. * The United States has been the most successful nation to compete in Miss Universe in the 1950s, 1960s and 1970s. Venezuela won two crowns in the 1980s becoming the most successful country that decade. Puerto Rico and Venezuela have been most successful in the 1990s and 2000s with 3 crowns each. * The nations that have competed every single year of competition (from 1952 to date) are Canada, France, Germany, and the USA. Sweden lost this distinction when it failed to send a contestant in 2005. Israel missed the pageant in 1953, while Greece was absent in 1988 (its delegate withdrew because of illness) and Brazil in 1990 (Miss Brasil pageant wasn't contested). * Before becoming states in 1959, Alaska and Hawaii both sent delegates to the pageant during the 1950s. In fact, Miss Hawaii was 1st runner-up in 1952 and 2nd runner-up in 1958 (before winning Miss Universe as Miss USA in 1997), while Miss Alaska reached the semi-finals in 1957. * After the USA, Venezuela ranked second in terms of consecutive placements in the semi-finals: 21 years, from 1983 to 2003, nearly beating the United States' 22-year streak between 1977–1998. Of those 21 years, 13 times in a row Venezuela made the top 6 or higher (1991–2003). * Other than the USA and Venezuela, the countries that have made the semi-finals the most in a row are India (who in recent years has emerged as a pageant powerhouse) with 11 (1992–2002) consecutive placements; Germany with ten (1952 to 1961); and Finland with 8 (1962–1969). Now that record belongs to Czech Republic. * Colombia had three first runner-up placements in a row (1992–1994) a streak that has been unparalleled in competition history. However, Venezuela had 3 in four years (1997, 1998 and 2000). Also, between 1996 and 1998, Venezuela had three consecutive placements in the top two with Alicia Machado winning the crown in 1996 and the first runner-up the next two years being Venezuelan. * Finland has had the most consecutive runners-up. For five years, from 1965 to 1969, its delegates placed among the five finalists without interruption (1965: Virpi Miettinen, first runner-up, 1966: Satu Östring, first runner-up, 1967: Ritva Lehto, third runner-up, 1968: Leena Brusiin, second runner-up, and 1969: Harriet Eriksson, first runner-up). * Both Puerto Rico and Venezuela have had at least one winner in each of the last four decades, the only two nations/territories to accomplish this feat. o Puerto Rico: Marisol Malaret in the 70s (1970), Deborah Carthy-Deu in the 80s (1985), Dayanara Torres in the 90s (1993), and Denise Quiñones (2001) and Zuleyka Rivera (2006) in the 2000s. o Venezuela: Maritza Sayalero in the 70s (1979), Irene Sáez (1981) and Bárbara Palacios Teyde (1986) in the 80s, Alicia Machado in the 90s (1996), Dayana Mendoza (2008) and Stefanía Fernández (2009) in the 2000s. * Miss Universe 1955, Hillevi Rombin of Sweden, is the only deceased Miss Universe title holder since the pageant's inception. She was also the first winner to witness her victory being aired on television. * Miss Universe 1957, Gladys Zender from Peru was the youngest Miss Universe in history. She was 17 when she won the title. * Miss Universe 1997, Brook Lee from United States was the oldest Miss Universe in history. She was crowned at the age of 26. * On three occasions, contestants that did not place in Miss World: Georgina Rizk, Angela Visser, and Mpule Kwelagobe, won Miss Universe. However, no contestant who failed to place at Miss Universe has ever gone on to win Miss World. * Eight Miss Universe delegates placed as runner-up or semi-finalist in that pageant and later won the Miss World title. They were: Susana Duijm - semi-finalist, Venezuela 1955; Corine Rottschäfer - semi-finalist, Holland 1958; Rosemarie Frankland - first runner-up, Wales 1961; Madeleine Hartog Bell - semi-finalist, Peru 1966; Eva Rueber-Staier - semi-finalist, Austria 1969; Helen Morgan - first runner-up, Wales 1974 (dethroned); Gina Swainson - first runner-up, Bermuda 1979 and Agbani Darego - semi-finalist, Nigeria 2001. * At 5 feet 4 inches (1.63 m) tall, Miss Thailand 1965, Apasra Hongsakula was the shortest Miss Universe ever crowned. * At 6 feet 1 inch (1.85 m) tall, Miss Dominican Republic 2003, Amelia Vega was the tallest Miss Universe ever crowned. * In 1957, Miss USA Mary Leona Gage was disqualified for being married and a mother, though she had qualified for the semi-finals. She was replaced by Miss Argentina, Mónica Lamas. * Irene Sáez, Miss Universe 1981, ran for President of Venezuela in 1998, after having been elected mayor of Chacao in 1992 and governor of Nueva Esparta in 1999. * Miss Haiti, Evelyn Miot, became the first black woman to make it to the semi-finals in 1962. * Miss Curaçao, Anne Marie Braafheid, became the first black woman to become first runner up in 1968. * Trinidad & Tobago's Janelle Commissiong became the first woman of African descent to be crowned Miss Universe, in 1977 in Santo Domingo, Dominican Republic. The first black African to win Miss Universe was Mpule Kwelagobe, of Botswana, crowned in 1999 at Chaguaramas, Trinidad & Tobago. * Only once have black women won Miss Universe in succession. Wendy Fitzwilliam of Trinidad & Tobago won the title in 1998, followed by Mpule Kwelagobe of Botswana in 1999. * Andrea Stelzer was Miss South Africa in 1985, but pulled out of Miss Universe because of anti-apartheid demonstrations. She competed in 1989 as Miss Germany, and was a top 10 semi-finalist. * Miss Lebanon 2001, Christina Sawaya, pulled out of the 2002 Miss Universe competition because of the participation of Miss Israel. She went on to win the rival Miss International competition in the same year. * 2002's winner, Oxana Fedorova of Russia, became the first Miss Universe who officially did not finish her reign, making first runner-up Justine Pasek the first Panamanian to hold the title. Fedorova was crowned in Puerto Rico in mid-May, and was replaced by Pasek in late September. It is unclear whether Fedorova was fired for failure to perform her duties (the official version), or chose to resign because she had not expected the heavy workload. * The strong rivalry between Puerto Rico and Venezuela is so well known in Latin American popular culture, that their struggle has been immortalized in several Spanish-language television commercials in the United States for such companies as MasterCard and Budweiser. In the latter, former Miss Universe winners Dayanara Torres of Puerto Rico and Alicia Machado of Venezuela caused mayhem in a sports bar as they competed to win the admiration of the men present. * A new trend of delegates representing countries they were not born in has developed. Miss Universe 2002 Justine Pasek was born in Kharkiv, Ukraine, where her Panamanian mother was completing her University studies. Miss Israel 2005, Elena Ralph was also born in Ukraine and moved to Israel when she was 18 years old. The most famous country-swapper was probably Natascha Börger. After placing 12th in the 2000 Venezuelan pageant she moved to Germany where she easily won the crown of Miss Deutschland 2002. Other notable contestants who represented countries other than their birth place include the Miss Universe Canada and Miss Universe 2005 Natalie Glebova who is Russian by birth, Miss Universe Canada 2006 Alice Panikian who is Armenian-Bulgarian by birth, Miss Germany Universe 2006 Natalie Ackermann who is Colombian by birth, and Venezuelan born Francys Sudnicka representing Poland. Such is also reflected in the growing number of delegates from different parts of the world being sent to a third country (almost always Latin American) for further training before going on to the host country and compete in the pageant proper. * In 1999, Botswana sent Mpule Kwelagobe as its first ever delegate to the pageant and she won. * In 2007, Riyo Mori of Japan was crowned in Mexico City, Mexico in another controversial competition. All ten finalists were brunettes. When Miss Mexico failed to make the final cut, the crowd loudly booed Miss USA who did pass despite falling over in the evening gown competition. * In an interesting and quite original break from tradition, Miss Universe 1998, Wendy Fitzwilliam of Trinidad and Tobago, did her final walk in 1999 to her very own recording, a cover of Sade's Kiss of Life instead of to a pre-recorded message or being interviewed by the host. * Natalie Glebova of Canada, Miss Universe 2005 reigned for the longest period in Miss Universe history: one year and 53 days (almost 2 months) from the time she was crowned on May 31, 2005 in Bangkok, Thailand. Riyo Mori of Japan, Miss Universe 2007 reigned for almost the same length: one year and 45 days from the time she was crowned on May 28, 2007 in Mexico City, Mexico. * In April 2006, a reunion of former titleholders took place in New York City to celebrate the launch of the book "Universal Beauty" by Cara Birnbaum. The reunion included Sylvia Hitchcock (1967, USA); Margaret Gardiner (1978, South Africa); Yvonne Ryding (1984, Sweden); Deborah Carthy Deu (1985, Puerto Rico); Bárbara Palacios (1986, Venezuela); Porntip Nakhirunkanok (1988, Thailand); Mona Grudt (1990, Norway); Lupita Jones (1991, Mexico); Michelle McLean (1992, Namibia); Brook Mahealani Lee (1997, USA); Wendy Fitzwilliam (1998, Trinidad & Tobago); Denise Quiñones (2001, Puerto Rico); Justine Pasek (2002, Panama); Amelia Vega (2003, Dominican Republic) and Natalie Glebova (2005, Canada). * The largest interval between a nation winning Miss Universe is Japan; Akiko Kojima won the title in 1959 and, 48 years later, Riyo Mori became the second recipient from Japan. * In 2009, Venezuela became the first country ever to win consecutive titles, when Dayana Mendoza, Miss Venezuela and Miss Universe 2008 crowned her compatriot, Stefanía Fernández as Miss Universe 2009. This was yet another controversial competition in that Stefanía Fernández did not score in the Top 3 in any of the preliminaries or semi-finals events. Many sources have stated that she was favored and picked by the owner of the Miss Universe (Donald Trump) at the time of her reign. However, it should be noticed that the scores only determine which delegates are making the cut, and the competition starts all over from zero (Many delegates in the past won some or all semifinal competitions and didn't win the crown. Diana Nogueira, Miss Spain 1999, who won swimsuit and evening gown competitions and was 2nd runner-up; Milka Chulina, Miss Venezuela 1993, who had the higher average of the three competitions and also was 2nd runner-up, Denny Mendez, Miss Italy 1997, who also had the highest average and only made top 6, etc.) and is the final question and the close-up final look which makes the jury to select the winner. * USA won in 1956, then in 1995 and 1997 and Venezuela won in 1979 and 1981. Curiously, between the Venezuelan triumphs of 1979 and 1981, the winner was from the USA, and between the two USA wins in 1995 and 1997, the winner was from Venezuela. * The very first Miss Universe Armi Kuusela from Finland lives again in California, San Diego, with her ambassador husband, Albert Williams, after living around the world which all started in Miss Universe competition in California 1952. * The Philippines has won the Miss Photogenic award seven times (five of them via internet voting, including a back-to-back and a three-peat), followed by the UK with 5 and Puerto Rico, with five, four of them via internet voting during a six-year period, from 1999 to 2004 (did not win in 2000). * Colombia has won the Best National Costume Award six times. * Guam has won the Miss Congeniality award four times. * The only Miss Universe to win three awards on pageant night was Denise Quiñones (Puerto Rico), who in 2001 also won Miss Photogenic via internet voting, Bluepoint Swimsuit Award, and Clairol Best Style Award. Alicia Machado (Venezuela) almost accomplished this feat when she got the Jantzen Best in Swimsuit Award and That Takes Finesse Award in 1996. * Four Miss Universe winners were awarded Miss Photogenic: Margareta Arvidsson (Sweden, 1966), Margarita Moran (Philippines, 1973), Janelle Commissiong (Trinidad and Tobago, 1977) and Denise Quiñones (Puerto Rico, 2001). * Three titleholders have also won Best National Costume: Porntip Nakhirunkanok (Thailand, 1988), Wendy Fitzwilliam (Trinidad and Tobago, 1998) and, Amelia Vega (Dominican Republic, 2003). * In the year 2010, Fonthip Watcharatrakul of Thailand won both the Miss Photogenic and Best National Costume awards via internet voting. This is the first time in Miss Universe history that a country accomplished this feat. From 1960 to 1990, the Miss Universe Creed was read at each pageant: "We, the young women of the universe, believe people everywhere are seeking peace, tolerance and mutual understanding. We pledge to spread this message in every way we can, wherever we go." Venue Mandalay Bay Events Center, Las Vegas, Nevada, U.S.
Miss Universe 2010. Participating nations and territories and results. Miss Universe 2010, the 59th edition of the pageant, was held at the Mandalay Bay Events Center in the Mandalay Bay Resort and Casino, Las Vegas, Nevada, U.S. on August 23, 2010. It was hosted by Bret Michaels and Natalie Morales. Ximena Navarrete, Miss Mexico, was crowned Miss Universe 2010 by outgoing titleholder Stefania Fernandez from Venezuela. * Mexico won Miss Universe for the second time in history, its first title since Lupita Jones in 1991. Coincidentally, Jones also won in Las Vegas. * Countries that placed in the top 15 the previous year were Albania, Australia, Belgium, Czech Republic, France, Puerto Rico, and South Africa. * Jamaica, Ukraine, Albania, and Guatemala placed their highest ever in the pageant. * Czech Republic placed for the fourth consecutive time. * Australia scored its third straight placement and its highest since Jennifer Hawkins's victory in 2004. * Guatemala last placed in 1984. * Ireland last placed in 1998. * Philippines last placed in 1999. * Jamaica last placed in 2004. * Ukraine last placed in 2007. * Mexico, Russia and Colombia last placed in 2008. * USA failed to place in the semifinals for first time since 2002 and only the fourth time in pageant history. * Venezuela did not make the cut for the first time since 2006 and for the 23rd time since it began competing. * Venezuela and USA both did not make it for the first time together in the history of Miss Universe. * Thailand won both the Miss Photogenic and Best National Costume awards via internet voting. This is the first time in Miss Universe history that a country accomplished this feat. * European delegates dominated the semifinals for the third consecutive time with 7 semi-finalists. And like in previous years, one of them made the top 5. * Haiti last competed in 1989. * British Virgin Islands last competed in 2002. * Botswana last competed in 2004. * U.S. Virgin Islands last competed in 2007. * Guatemala – Alejandra Barillas was Miss Universe Guatemala 2010 until she injured her left foot in an accident. This stopped her from participating in the pageant. She was replaced by one of her runners-up, Jessica Scheel. * Romania – Alexandra Catalina Filip is Miss Universe Romania 2010 but 1st Runner-up, Oana Paveluc, represented Romania instead. * Turkey – Turkey sent Miss Turkey World 2010, Gizem Memic, because its Miss Universe 2010, Serenay Sarikaya, was below 18 and did not meet the age requirement. * Bulgaria – The Miss Bulgaria Organization did not send a representative to compete in Miss Universe 2010. * Cayman Islands – On September 8, 2009, it was announced that the Miss Cayman Islands 2009 contest would not take place due to lack of funding and sponsorship. Since the winner of that contest also competes in Miss World, there was no Caymanian representative to Miss World 2009 either. * Estonia – Valeri Kirss, Estonia’s national director, was selling the Eesti Miss Estonia pageant. * Namibia – Miss Namibia 2010, Odile Gertze, was crowned on July 31, 2010. Since that was only one week from the official start of Miss Universe 2010, national director Connie Maritz decided not to send the winner to Miss Universe but to Miss World 2010 and Miss Universe 2011 instead. * Vietnam – Vietnam did not have a representative this year. They officially withdrew from the pageant. * Argentina – Yesica Di Vincenzo competed at Miss International 2008 but did not place and will compete in Reina Hispanoamericana 2010. * Brazil – Débora Lyra competed at Top Model of the World 2008 and won. * Canada – Elena Semikina competed at Miss International 2008, but did not place. * Guatemala – Jessica Scheel, was a contestant in Miss Earth 2007. * Jamaica – Yendi Phillipps competed in Miss World 2007 and placed in the top 16 ("Beach Beauty" 1st runner-up). * Korea – Kim Joo-ri competed in Miss World 2009 and placed in the top 16 (Continental Queen of Asia & Oceania). * Peru – Giuliana Zevallos is Miss Continente Americano 2010 and competed in Miss Earth 2008. * Spain – Adriana Reverón placed in the top 8 at Miss Earth 2008. * U.S. Virgin Islands – Janeisha John represented her territory at Miss America 2008, but was unplaced. * Uruguay – Stephany Ortega will compete in Reina Hispanoamericana 2010. Award was voted by online viewers who went to NBC.com to vote for their favourite contestant. Award was voted by the 83 participating delegates. 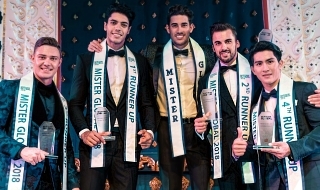 Award was decided by online voters who went to Club Universe, a exclusive membership club on the Miss Universe website. I know about only and their life Lara datta was born in Ghaziabad, Uttar Pradesh to a Punjabi father and an Anglo-Indian mother. Her father is Wing Commander L.K. Dutta and her mother is Jennifer Dutta. She also has two older sisters, one of whom serves in the Indian Air Force and a well known younger sister. Famed composer and DJ Nitin Sawhney is Lara's cousin. The Dutta family moved to Bangalore in 1981 where she completed high school from St.Francis Xavier Girls' High School and the Frank Anthony Public School. Lara graduated in economics with a minor in communications from the University of Mumbai. She was crowned Miss Universe in 2000 which led to her appointment as a UNFPA Good will Ambassador in 2001.In September 2010, she got engaged to Indian tennis player, Mahesh Bhupathi. This is amazing! It's good to know that all of these are the behind the success of Ms. Universe. I think hindi siya madidisqualify kasi yung whulandary nga from indonesia 27 na nung nagjoin e haha..
pero truelagen ba na walang miss universe this year? next year daw sa Doral. if ever pala, short reign lang ang Miss Universe 2014.
pero sa Misso daming lumalamon ng hopia.